The following resources may be able to provide you with more information during your home care search. The California Association for Health Services at Home (CAHSAH) is the leading statewide home care association in the nation and the voice of home care for the western United States. 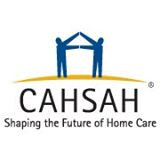 CAHSAH is dedicated to being the preeminent source of advocacy, education and information reflecting the full diversity of the home care industry.